Do you have something you’d like to share? Would you like to lead a workshop? Come to this free session to cook up ideas for workshops! What could you offer? 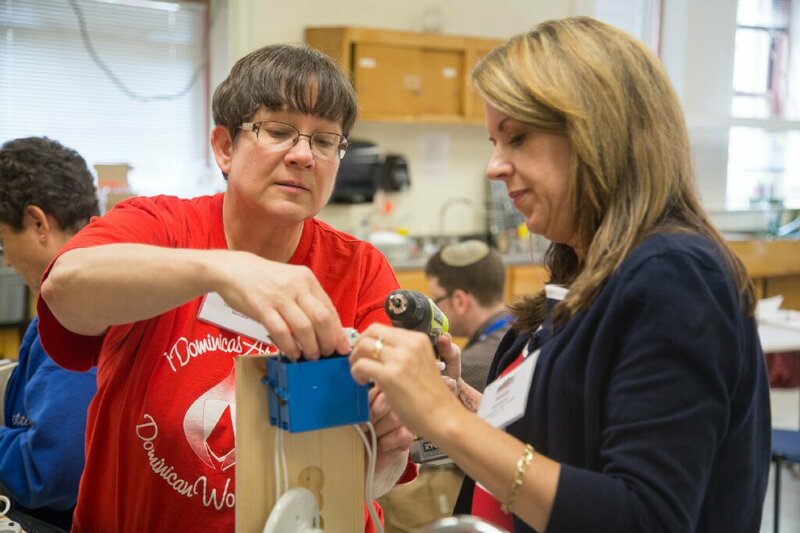 What workshops would you like STEMteachersNYC to offer for you? For both experienced and new leaders, leading workshops is a powerful form of professional development that benefits the leader as well as the participants. Join us for writing and discussion as you work out workshop details while getting feedback and coaching from others. We are building a library of past and potential workshops to enhance our ability to provide dynamic workshop offerings that meet the diverse needs and interests of our members. PIZZA FOR ALL AT 1:00 PM. It’s always more fun to work in the company of others, and common interests lead to collaboration and co-leadership. The proposed workshops will form the backbone of our upcoming workshop schedule. Workshop quality is improved with the ideas and input from others. We’re all busy teachers, and this workshop provides a time to develop and refine a workshop description, a workshop agenda, and supporting materials. Most of our workshops are immersive – leaders invite participants to work thorough materials, activities, or techniques as students would – other workshop formats might involve field trips, panel discussions, show-and-tell sessions, or whatever you might imagine! Thank you for sharing your expertise – that’s STEMteachersNYC’s slogan: By Teachers, For Teachers, About Teaching!